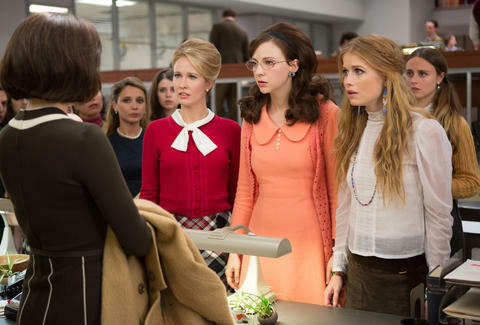 Should You Watch 'Good Girls Revolt,' Amazon Prime's Sneaky '70s Drama? At the end of every episode of Good Girls Revolt, whose first season is now streaming on Amazon Prime, a title card reminds us that the events and characters it presents are purely fictional. This is necessary, as the Amazon original series is based upon a book of the same name by Lynn Povich, which charted the efforts of real women to gain workplace equality in the magazine industry in the 1970s. 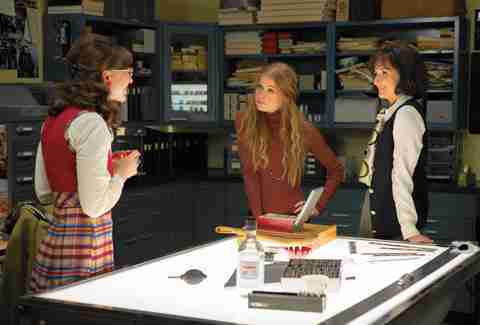 So Good Girls Revolt is pure fiction. But is it worth checking out? We binged the first half of the series to figure out whether you should revolt against its presence on your watch list, or capitulate to its demands. Should You Watch Netflix's War Thriller 'The Siege of Jadotville'? Many critics have compared Good Girls to the ad industry-focused prestige drama that still looms large in our "peak TV" era. The resemblance holds, mostly on a superficial level: Anna Camp stars in both series, and the '70s costumes and soundtrack are textbook-perfect, from the lava lamps down to the dowdy lingerie -- which we do see often, since News of the Week (not to be confused with Newsweek, remember) is a hookup-heavy office. Plus, gender dynamics are key to every relationship and plotline: The magazine pairs reporters, who are exclusively male, with their own researchers, who are exclusively female. Oh, and everybody drinks on the job and smokes cigarettes indoors. Are you nostalgic for, or curious about, the glory days of journalism? 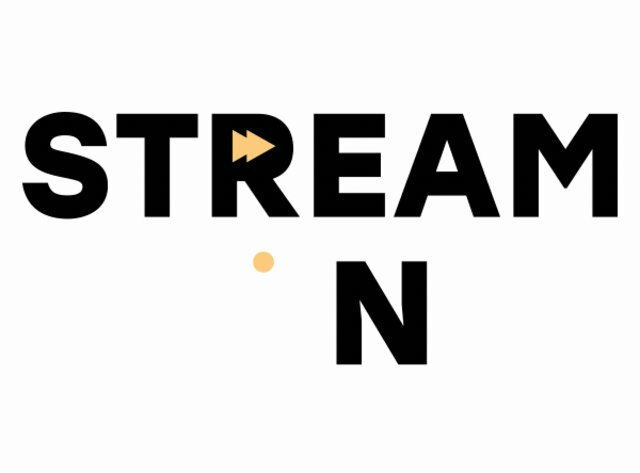 If you want to see more hard-nosed reporters at work but found Spotlight to be too bleak, start streaming. Good Girls underscores the less glamorous aspects of producing quality journalism -- in the pre-internet age, no less! -- like checking crime blotters, getting stonewalled by sources, and having to rewrite cover stories at the 11th hour. Other necessary tools of the trade: typewriters, whose clacks and dings soundtrack News of the Week to a cliché degree; and an unhealthy spirit of competition, which constantly pits our reporters against the cool kids over at Rolling Stone. Do you think postal workers deserve more respect? 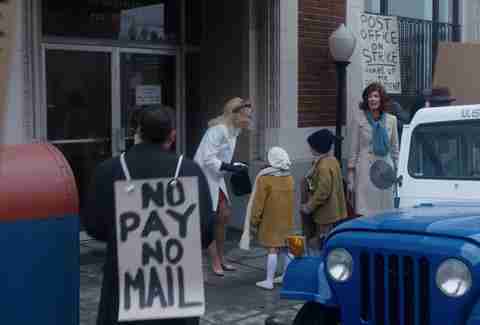 To remind us just how long ago the events in the series unfolded, one episode revolves around a Postal Service strike. These mail carriers and sorters are such relics, the show constantly reminds us why they matter throughout the hour -- a detail much appreciated by this millennial. See, nobody can get their government assistance checks because direct deposit wasn't invented yet, and the country is so crippled that President Nixon is forced to give a televised address on the ordeal. Despite the show's pejorative title (one carried over from its source text), it's about empowered women struggling for recognition in a male-dominated industry, where they are responsible for the heavy lifting and artistry that the job demands. It's alarming how a show about gender dynamics in the workplace set 40-plus years in the past is this relevant today: Women still earn around 20% less than their male colleagues, and must fight for consideration for jobs that underqualified men are often handed. Though we women contain multitudes, Good Girls often forces its class-action heroines to choose between their careers and their love interests, whom News of the Week has conveniently paired them with for maximum make-out potential (job assignments echo the dynamics of an arranged marriage in most cases). Grace Gummer shows up as "Nora Ephron" (not to be confused with Nora Ephron), to point out the flaws in this system before making a dramatic exit. At times early in the series, I wished we could spend more time plotting the ladies' lawsuit than watching a newsmagazine procedural, in which writers must furiously churn out copy to placate the printing presses. Wonder what would happen if Russ Hanneman truly applied himself in the workplace? 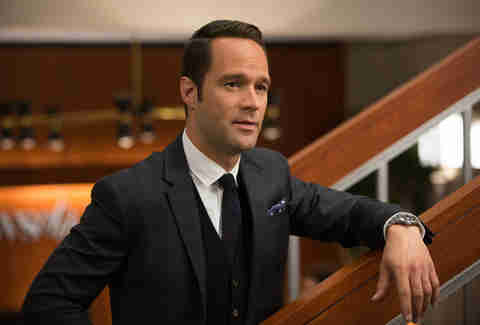 Chris Diamantopoulos plays Finn, News of the Week's shrewd and idealistic editor-in-chief and a massive departure from his performance as the douchebag investor-savior on Silicon Valley. Though they might be kindred spirits after all: Hanneman's "Tres Commas" tequila would not look out of place in Finn's liquor cabinet. Lauren Leibowitz is an editor and woman at Thrillist Entertainment. Find her on Twitter @lleibowitzz.